SA Motorsport - Investment ready! Riverview Rise Retreats is an exciting turn-key, ready to go, high end 5 Star accommodation business. Just 30 minutes, by road, or 10 minutes by helicopter, from the International SA Motorsport Park complex, The Bend, at Tailem Bend, South Australia, this is an opportunity not to be missed. From early 2018, The Bend will attract international motorsport enthusiasts and guests for events every calendar week of the year. These guests will demand premium, high-end accommodation within a 50km radius of the racing complex, The Bend. - Three (3) luxury self-contained bed and breakfast villas, offering complete privacy. - Each villa is self-catering with large enclosed patios, spacious interiors and high quality fit out. - Situated on approximately 7 hectares (subject to boundary realignment), with elevated, panoramic views of the Murray River corridor. 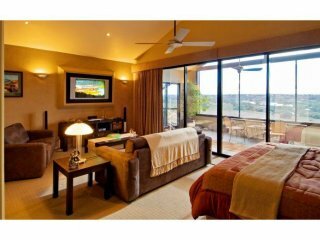 - Guest access to secluded Murray River frontage reserve (two minute drive). - Stunning scenery and native wildlife offer serenity and relaxation for guests. - Various add-on experiences (clay trap shooting, on site massages and private chef) available from established providers. - Strongly established Google ranking, social media and web presence. - Forward calendar of bookings. - Easily managed by one person or a couple. Operating as a high end, luxury holiday retreat for more than eleven (11) years, the astute investor will recognise the growth potential of this business. Take the Riverview Rise Retreats proven business model and grow your revenue by capitalising on the International demand that will be generated by the #SAMotorsportPark. Bankable occupancy rates and figures are available on request.